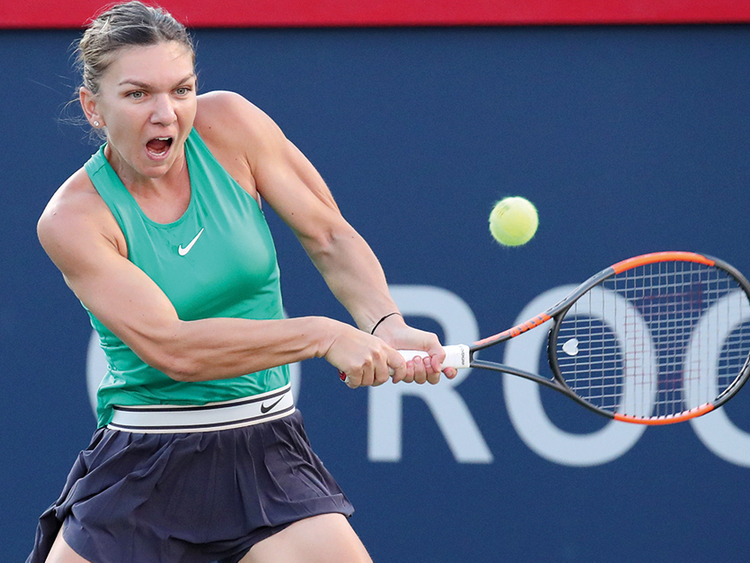 Montreal: Top seed Simona Halep sent Caroline Garcia packing for the second consecutive year at the Rogers Cup in Montreal with a 7-5, 6-1 win to set up a semi-final showdown with Ashleigh Barty. The French Open champion showed no signs of fatigue following her marathon three-set win over Anastasia Pavlyuchenkova on Wednesday, running down balls to extend points and wear down the slower Garcia. After a shaky start Halep won three straight games to take the first set and dominated the second set behind pinpoint serving and stout defence. Next up for Halep is Australian Barty, who strolled to a 6-3, 6-1 win over Kiki Bertens in their quarter-final match earlier in the day. The 15th-seeded Barty won 80 per cent of her first serve points and broke Bertens four times as she cruised to victory. Saturday’s semi-final will mark the first career meeting between Halep and Barty. American Sloane Stephens faced little resistance in her 6-2, 6-2 win over Latvia’s Anastasija Sevastova in a match that took a little over an hour to complete. With the win Stephens advances to her second consecutive Rogers Cup semi-final after falling to Caroline Wozniacki last year. The 25-year-old US Open champion will look to add her second hard court title of the year after she won the Miami Open in March. But to do so she will have to get past defending champion Elina Svitolina after she dispatched Elise Mertens 7-5, 6-3 on Friday. The fifth-seeded Ukrainian fired five aces and won 71 per cent of her first serve points to book her ticket to the semis.